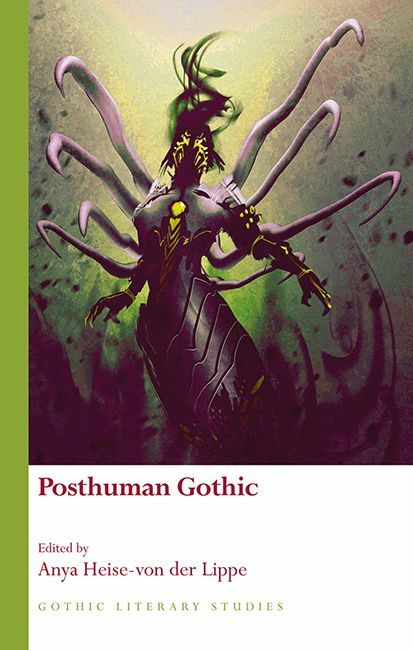 An edited collection of thirteen chapters, Posthuman Gothic explores the various ways in which posthuman thought intersects with Gothic textuality and mediality. The texts and media under discussion—from I am Legend to In the Flesh; from Star Trek to The Truman Show—transgress the boundaries of genre and move beyond the traditional scope of the Gothic. These texts, the contributors argue, destabilize our conception of what it means to be human. Drawing on key texts of both Gothic and posthumanist theory, the contributors analyze varied themes: posthuman vampire and zombie narratives; genetically modified posthumans; the posthuman in video games, film, and television; the posthuman as a return to nature; the posthuman’s relation to classic monster narratives; and posthuman biohorror and theories of prometheanism and accelerationism. In its entirety, this book is the first attempt to address the complex intersections of the posthuman and the Gothic in contemporary literature and media. "This collection fills a long-standing hiatus in Gothic scholarship. Lucidly organised into the four orders of posthuman Gothic, this remarkable volume reconfigures our understanding of the post/human condition. Organic, Undead, Evolving, Reimagined – Posthuman Gothic reveals how traditional primacies and normativities shift, blend and dissolve. Finally."